Another type of Pilot for sure, but still a Pilot's Watch! When it comes to Hanhart, we all know that it’s going to have something to do with Pilot’s watches. 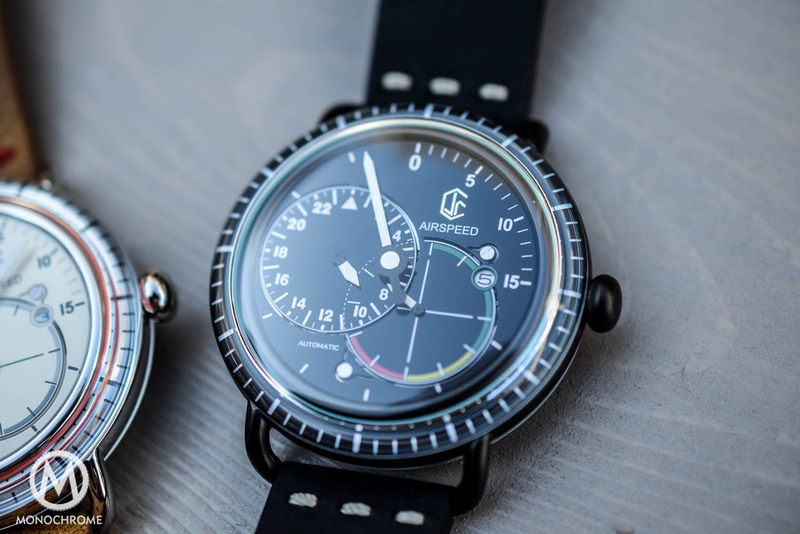 Whether modern, rugged and bold in their execution – like the Primus – or inspired by the classic Flieger chronograph concept – like the Pioneer collection, including some with a cool monopusher movement – the world of aviation and military inspiration are always present. Today, Hanhart presents a new watch in the modern Primus range, focusing on another kind of pilot… Meet the Primus Black Falcon Limited Edition. 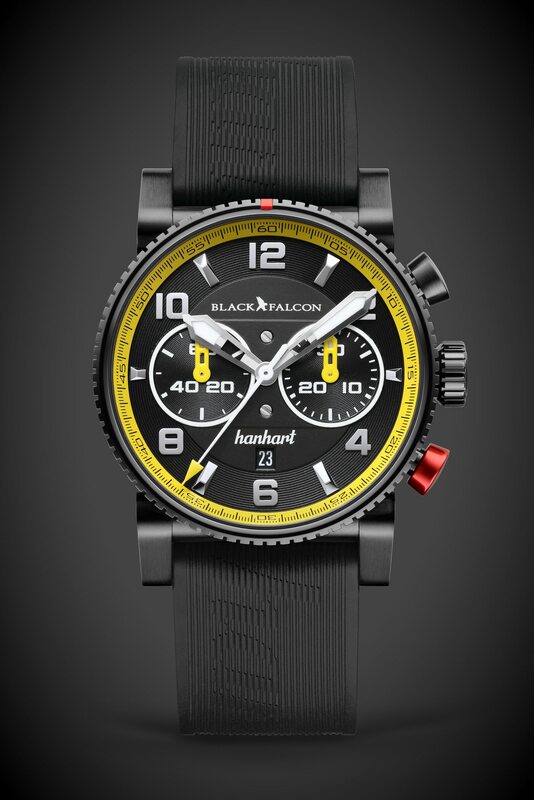 The watch has been created in association with Black Falcon, a young motorsports company, to celebrate its many first-place victories in international motorsports. With this new watch, Hanhart is exploring new territories. Certainly, we still have a pilot inspiration, but here we’re not in front of the classical, military/aviation world but something much more modern and down to earth (pun intended). 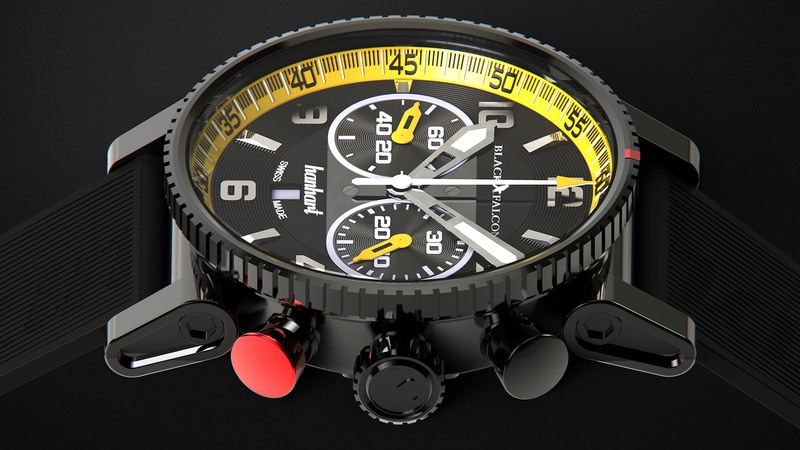 The Hanhart Primus Black Falcon Limited Edition has been designed in collaboration with the “Black Falcon” team, a young, German racing team competing in various championships, including GT3, Nürburgring 24, Blancpain Endurance Series and other international races. 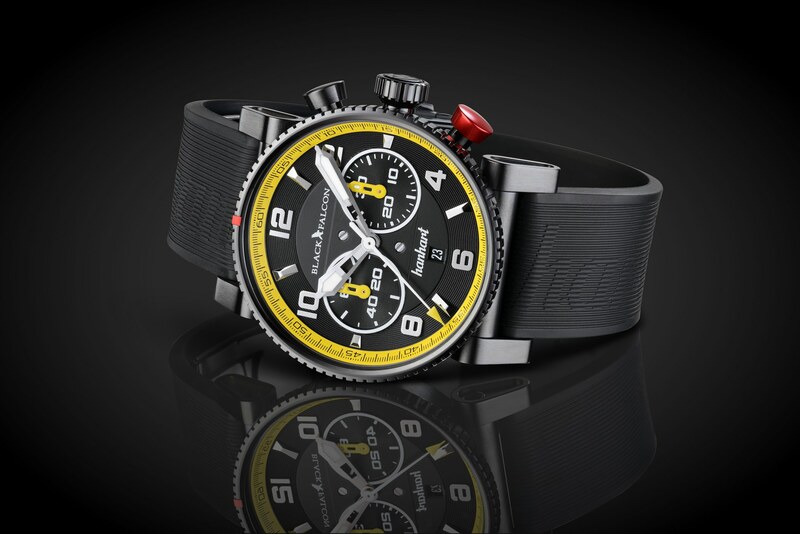 And unsurprisingly, this watch has been designed according to the colours used by the team: black and yellow. 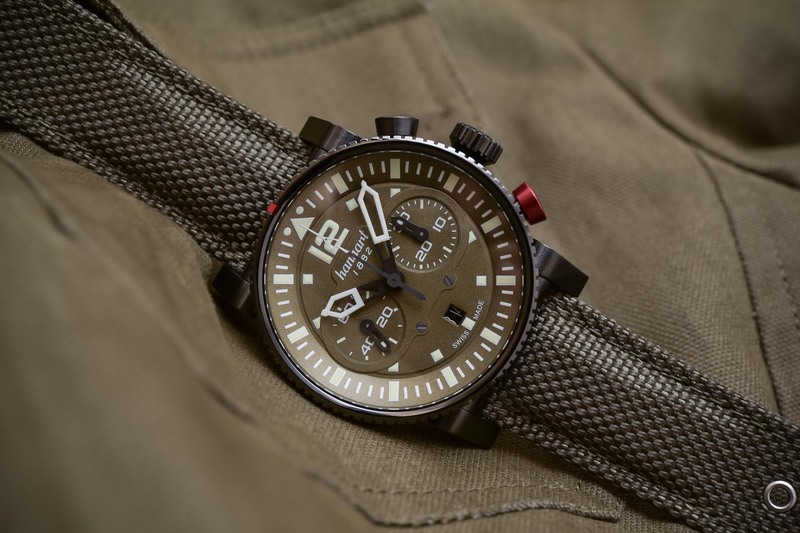 The new Hanhart Primus Black Falcon is based on the Primus collection, meaning the modern, bold and rugged pilot’s watch developed by Hanhart. No more WWII/Flieger inspiration here, as often seen in the brand’s creations. No vintage style, no monopusher, no aged dials. However, as contemporary as the Primus may be, it remains faithful to some of the usual codes used on the Hanhart Flieger “Pioneer” chronographs: fluted bezel with a red marker, red button to reset the chronograph and an overall field/action theme. 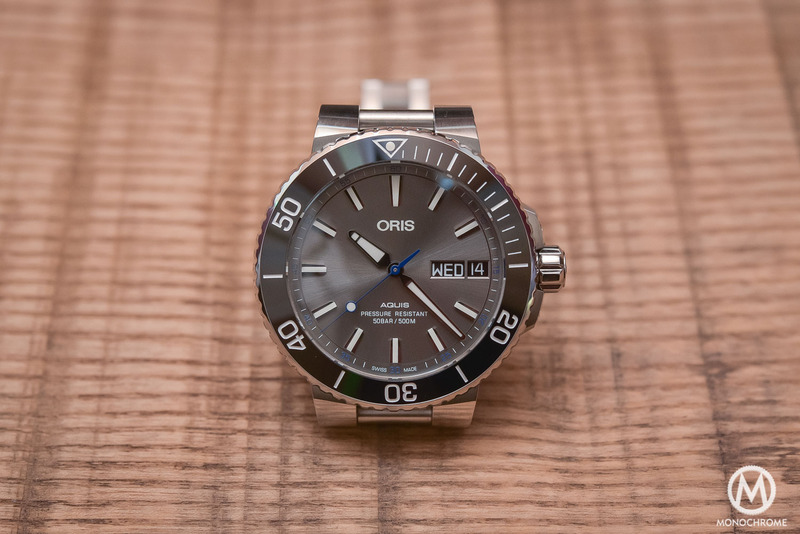 The shape of the case is the main interest of this watch. Generously sized, at 44mm x 15mm, it is composed of a cylinder-like central container with a highly raised rotating bezel. The very specific, articulated lugs are attached on each side. 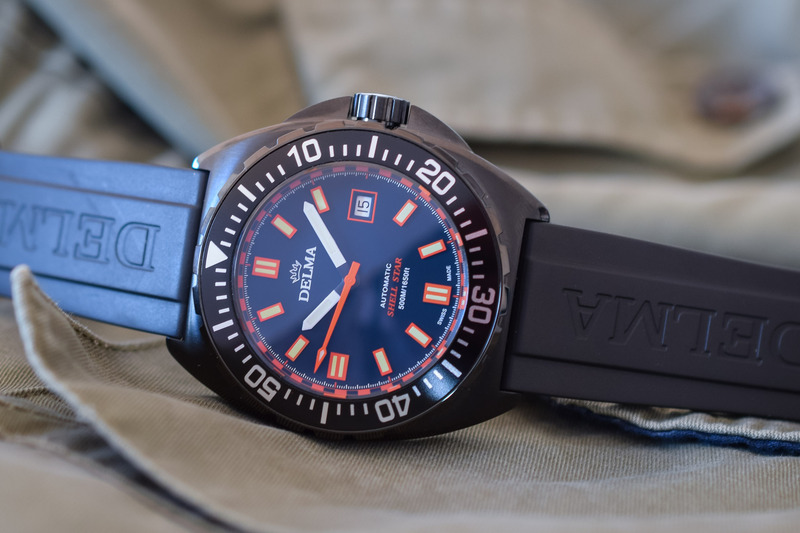 As we reported in our review of the Primus Black Ops, this allows for great comfort and security on the wrist – even on smaller wrists. For the occasion of this Black Falcon edition, the steel case is entirely DLC-coated. 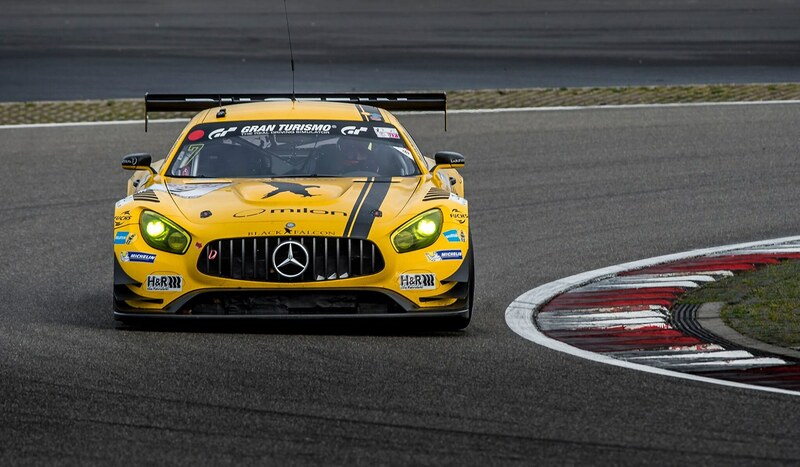 The dial relies on the signature colours of the racing team. Mostly black, it features several yellow accents on the inner flange and the subsidiary hands. Applied markers and numerals and well-defined sectors make it easy to read. The Hanhart Primus Black Falcon Limited Edition is a two-register chronograph with a 30-minute counter and small seconds, and it features a date at 6 o’clock. Powering the watch is the calibre HAN3809, an evolution of the tried-and-tested Valjoux 7750. The movement is visible through a sapphire caseback and benefits from a customized rotor. Specs are common to all the 7750-based movements: 4Hz frequency, cam chronograph, 42 hours power reserve. 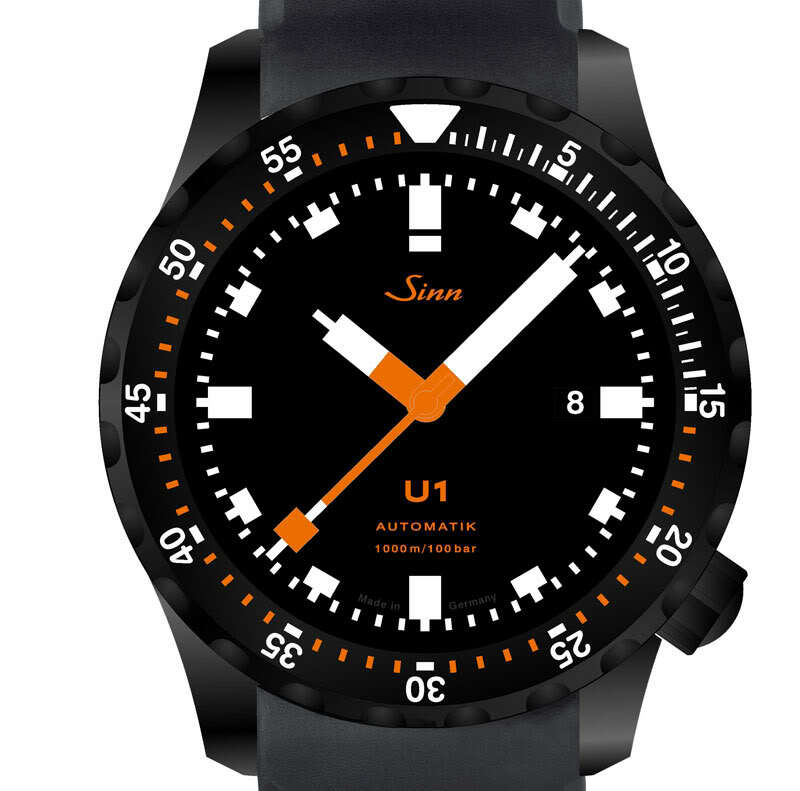 The watch is worn on a vulcanized rubber strap with a folding stainless-steel clasp. 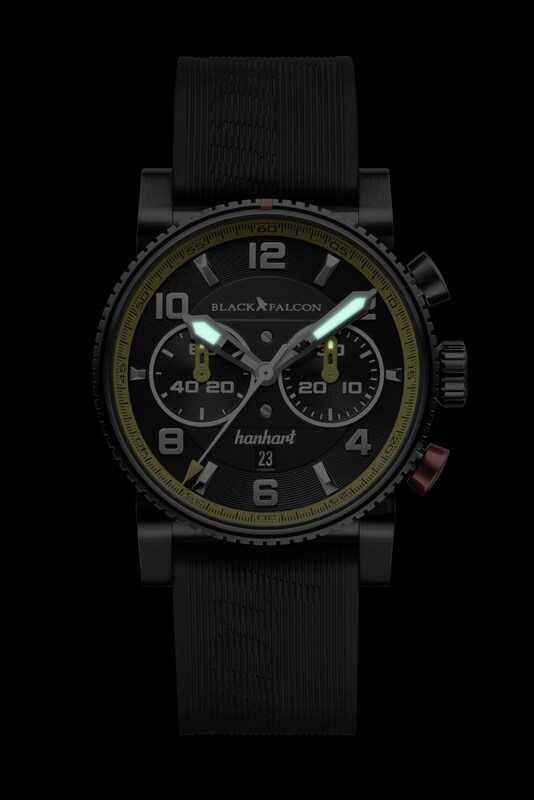 The Hanhart Primus Black Falcon Limited Edition will be a limited edition of 111 pieces only (one for each victory of the Black Falcon team) and priced at EUR 3,290. More details and orders on the dedicated website and on www.hanhart.com.